These excellent early information books have a 'life cycle' organisation which gives pace and coherence to the accounts. Children are not offered scraps of interesting but miscellaneous information but rather a detailed explanation of the life events of a particular creature and how it feeds, grows and reproduces. Teachers will welcome the potential for flexible use built into each book's design: four-year-olds will be able to look at the sequence of pictures and talk about them; by about six years children will manage the sentences in large type and link these to the illustrations; by seven most will read the text and illustrations to the end of the account. Watts provides a strong narrative which works well with his superb photographs. On those occasions when a drawing shows something best there are clear, labelled diagrams by David Burroughs. 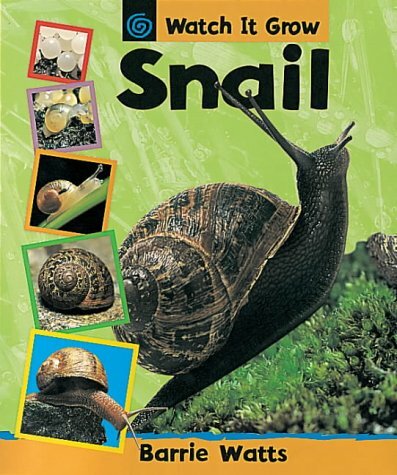 In Snail we have an illuminating cross section showing the structure and function of the snail's special tongue or 'radula' which it uses 'like a grater to scrape food into its mouth'. The photographs in Snail are particularly arresting - the snail's eggs look wonderfully luminous against dark, rich soil and the intricately patterned whorls on the shells of the adult creatures are bold and clear. The photographs are enlarged and perhaps we could have been given some pictures to indicate size and scale - I find children often ask about this. We have some help in the written text - each snail egg is 'the size of a match head'. The scale issue is tackled early on in Duck as the first picture of the egg is described as 'life size'. We know from their questions that children seek detailed information so they will be interested to learn that the duck's bill is made of a very tough material similar to that of human nails. Picture and text describe the tiny, tough teeth inside the creature's bill which are ideal for ripping weeds and tearing long grass. Technical vocabulary is introduced in context - 'keratin' and 'incubates' in Duck and 'calcium' and 'radula' in Snail. 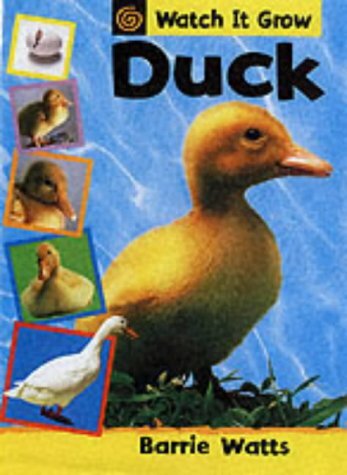 The books could be used to good effect alongside first-hand experience - observing ducklings during a nature walk or studying snails kept in a classroom vivarium.